Kids will love relaxing or reading their favorite book in this rocking chair. 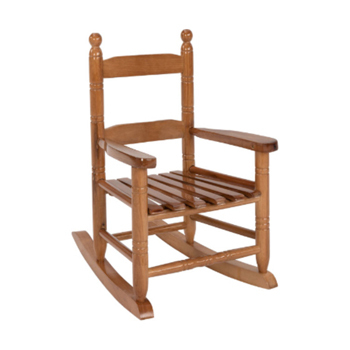 The rocker is made from kiln dried hardwoods and painted in a durable finish. The curved slat seat provides a traditional design and comfortable seating. Perfect addition to any room in your house.